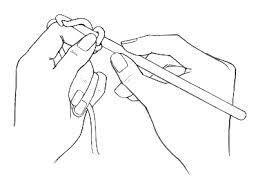 Think back to the days when you were first learning how to crochet. Do you remember the very first thing you learned? More than likely it was how to properly hold a crochet hook. What did you do next? Why, make a slip knot and put it on your hook, of course. You were probably thinking that crochet was going to be easy, weren’t you? Then the real learning began, as you learned how to make a chain. Suddenly crochet became real, didn’t it? Your chain stitches needed to be even in size and tension. You had to learn to recognize a single chain stitch in the row of chains so that you could accurately count the number of chains in your foundation row. The foundation chain is the basis for most every crochet project you do. 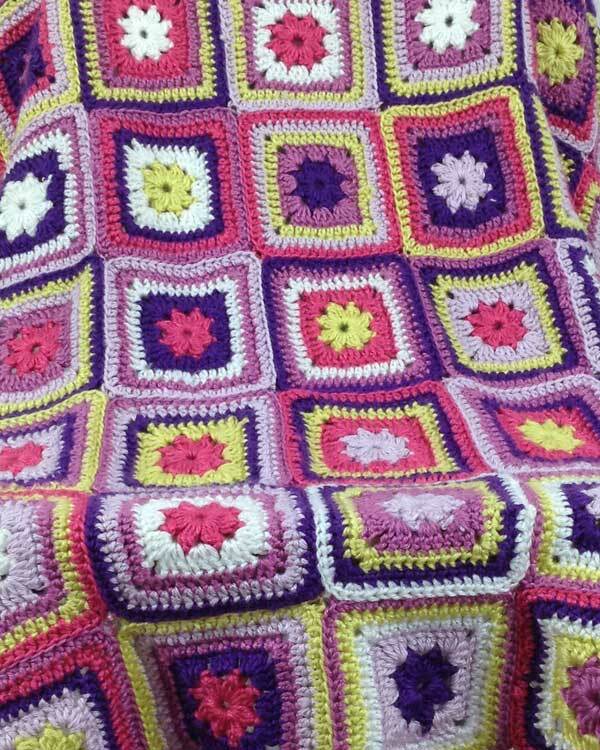 Until you could master the chain stitch, you were severely limited in what you could do in crochet. 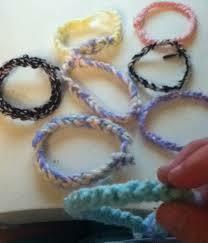 But did you know that you can make a crochet chain using only your fingers? It’s called hand chaining, and it’s the easiest crocheting you can do. 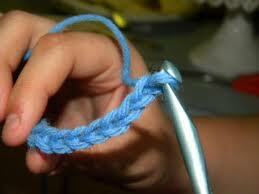 If you know how to make a slip knot, you can hand chain. 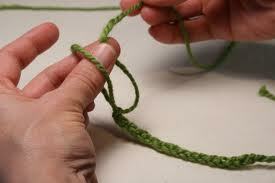 All you do is make a slip knot, pull up a loop through the slip knot, pull up a new loop, and repeat. And repeat. And repeat. And….well, you get the general idea. Your hand chain can be as tight or as loose as you want. 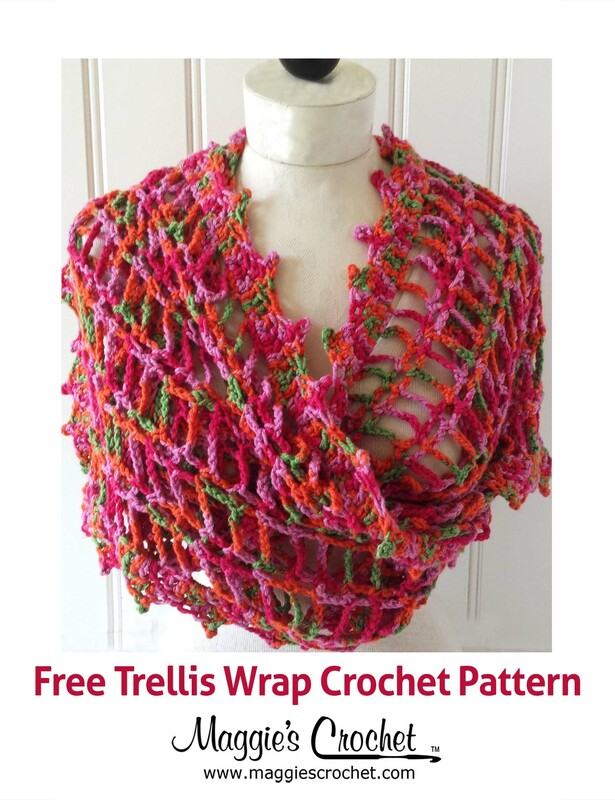 You can hand chain with just about any weight yarn, from lace to super bulky. 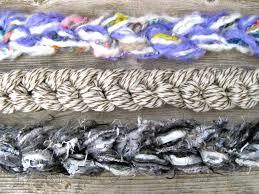 There are several specialty yarns on the market today that are perfect for hand chaining. You’re probably wondering why anyone would want to just make a hand chain. 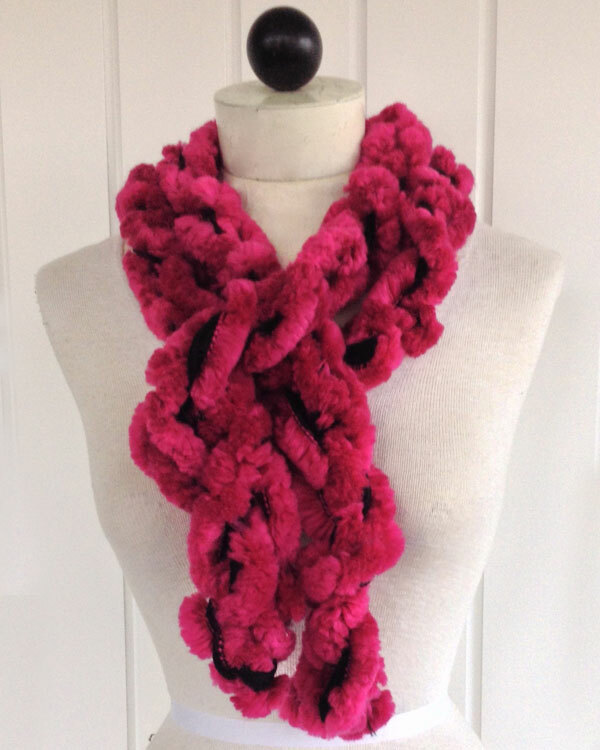 I’ll tell you why: with the right yarn, you can make some amazing things with nothing more than a hand chain. Take a look at these items, all done by hand chaining. Hand chaining is not limited to fashion. You can make room dividers, garlands for holiday decorating, or maybe even a toy for your favorite cat. Use your imagination and explore the possibilities! 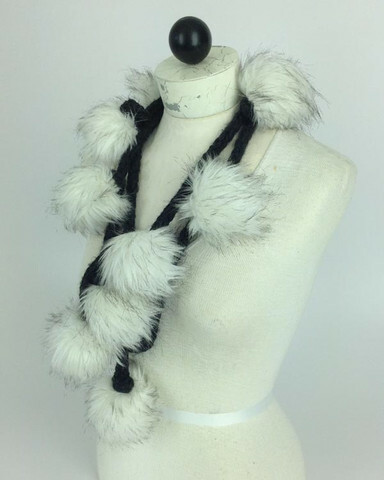 If you’d like to make the faux fur scarf shown above, the instructions are located on the blog at Free Pattern – 3-Minute Arctic Scarf.